Presair, the leading pneumatic switch manufacturer, produces a wide variety of vacuum switches for monitoring and controlling equipment. Many mounting styles are available either factory set or adjustable to fit multiple application requirements. Our vacuum switches have worldwide approval and have a long life cycle making them ideal for OEM applications. Presair’s factory set vacuum switches are available small and compact, heavy duty, printed circuit board mount, and have the ability to sense vacuum as low as 0.25 inches of water. 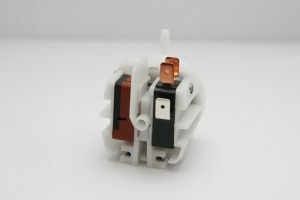 Vacuum switches can be factory set from 0.25 inches of water up to 300 inches of water when using our heavy duty style. Our factory set vacuum switches have excellent repeat-ability and are proof tested when high vacuum environments may occur. Presair’s adjustable vacuum switches are available in our heavy duty models with a mounting foot print of 2.5 inches, or we can sense low vacuum with an adjustable range of 0.25 inches of water to 35 inches of water. The switches are easily adjusted using a small hex screw that turns clockwise to increase the vacuum or counter-clockwise to decrease. Presair has recently released a low cost, monitoring device, which in turn can be also used to monitor vacuum. 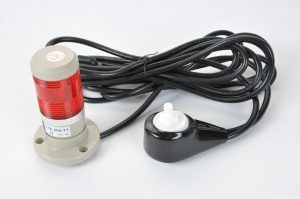 The monitor uses our pneumatic switches to send a signal to the stacklight to alert personnel. When you replace the pressure switch with our vacuum switch, the ability to monitor vacuum in a system is easy! The monitor provides notification and prevents issues before downtime occurs. Versions tailored to meet the needs of manufactures, the monitor notifies personnel using visual, audio and even text alerts when vacuum rises or falls in a system. Custom options are available such as material, gold contacts, latching switch types and non-standard adjusting ranges. Contact our direct customer service for more information. 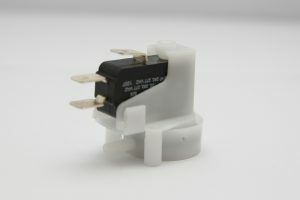 Presair’s vacuum switches are available for purchase online or visit our website to learn more.